Palladium prices surged to a new record nominal high today, over $1,100 an ounce on growing concerns of a supply crunch in the very small physical palladium bullion market. 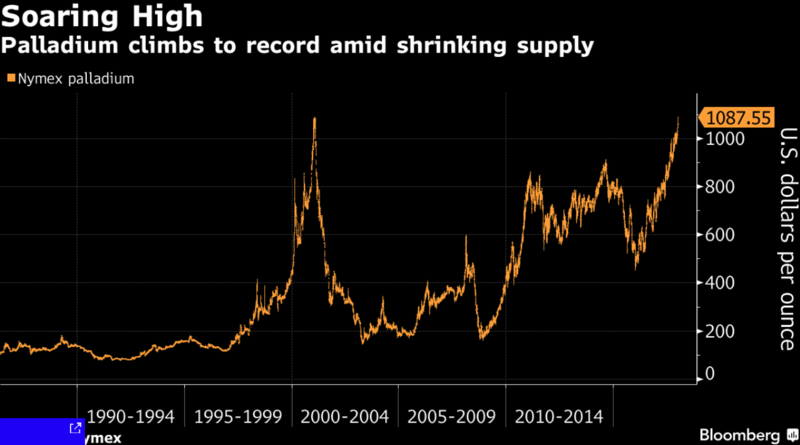 It is important to remember this is a nominal record high and adjusted for inflation, palladium prices would have to reach over $1,400 per ounce in order to surpass the 2001 record high. Nymex palladium futures for March delivery increased by 2.5% to $1,087.35 yesterday after hitting $1,090.45, �the highest for a most-active contract in records going back to 1986� according to Bloomberg. 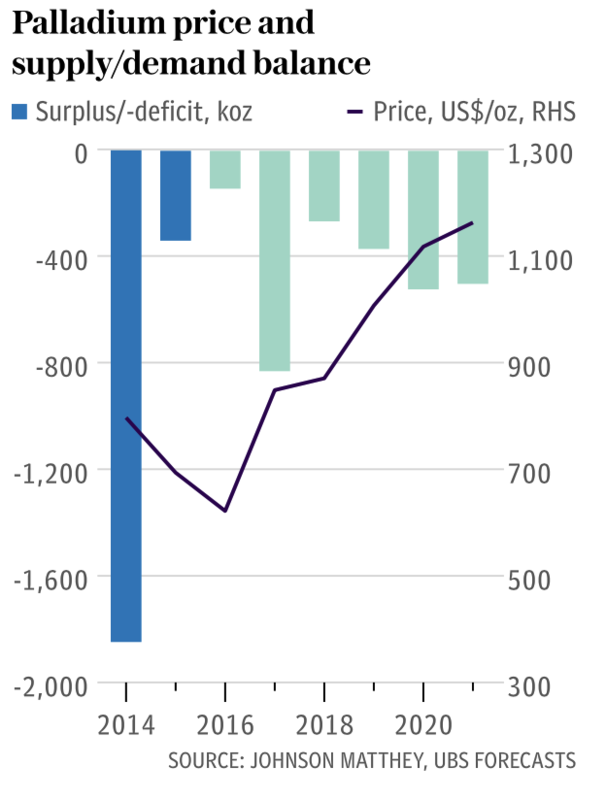 Palladium prices very strong performance can be attributed to two main, complementary factors: falling supply and increased demand in the automotive industry. It has also benefited from a weak dollar, expectations of future market changes and geopolitical risk and tensions with Russia. The palladium market has seen a supply deficit for six of the last seven years. In 2017, the deficit was expected to reach 83,000 ounces. In contrast, the platinum market has been in over supply, a situation which is expected to continue well into 2020. According to Nymex tracked warehouse inventories shrank 25% in December. This marked the fourth consecutive annual decline. 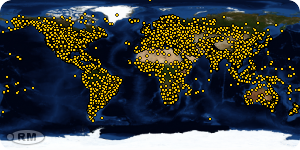 The majority of the world�s palladium supply � over 80% by some estimates � are found in just one country, Russia. This in itself could complicate matters when it comes to supply as we have covered in the past. Russia has restricted supplies of valuable and strategic natural resources, such as natural gas, in the past and geopolitical tensions and resource nationalism could see it do so again. This would lead to much higher prices in a very small, finite physical market that is already in deficit. After years of hearing about the benefits of diesel engines and enjoying tax breaks from governments, motorists are now doing an about-face turn and embracing petrol engines which are now reportedly better. This is in part thanks to palladium which helps to combat emissions from such engines. Diesel market share in Europe has been under pressure since carmaker Volkswagen admitted in 2015 that it had used illegal software to cheat U.S. emissions tests, slipping below 50 percent the following year for the first time since 2009, as reported by Bloomberg. Kieron Hodgson, analyst at Panmure Gordon, told the Telegraph that palladium�s recent surge was directly connected to �the demise of the diesel engine and the resurgence of gasoline.� Forecasters expect the number of diesel engines to halve over the next ten years. 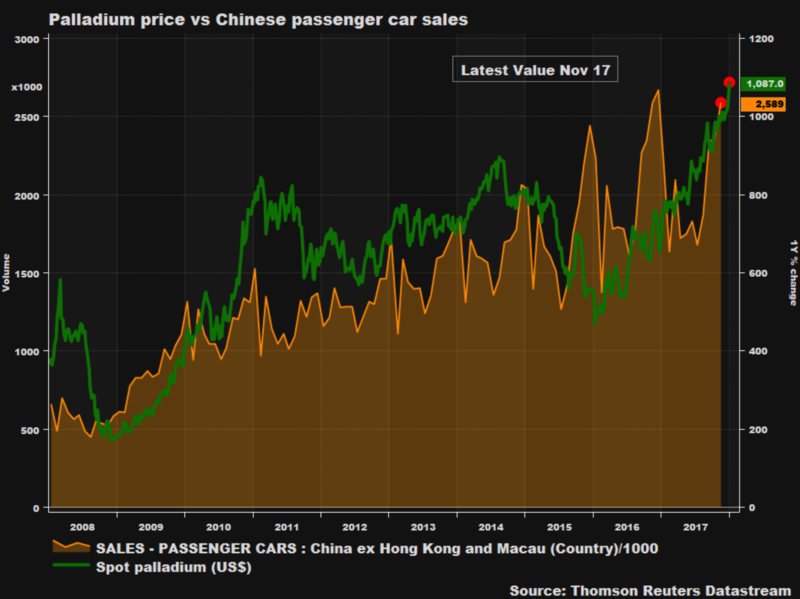 Some of the 17-year highs seen in the 2017 palladium price came on the back of expectations that demand in the automotive industry is going to keep climbing. Much of the demand for cars has come from an uptick in car sales in both the US and especially China. Approximately 78% of palladium supply is used in the automotive sector. Whilst this may seem to be painful news for the likes of platinum (used in diesel cars� catalytic converters) it at least has the benefit of diversification. Approximately only 43% of mined platinum is used in catalytic converters, while around 30% goes into jewellery. The balance is split between the likes of electricals and chemicals. Unsurprisingly, manufacturers are likely to begin seeking alternatives to palladium given the costs and limited supply. This is where platinum may benefit as it can also be used in catalytic converters. Will the record breaking continue? 2018 may see a calming in the palladium market and a correction could be expected given the scale of price gains in 2017. However, it is not expected to have a dramatic impact on price. Whilst the market may currently seem both overheated and over-speculated the fundamentals that are driving the price are unlikely to change in the next twelve months. After all, there is little anyone can do to boost supply and demand shows little sign of abating imminently. 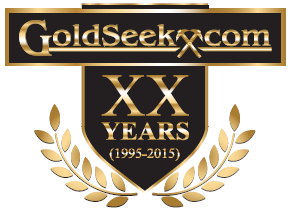 When we are told that we should invest in precious metals then we primarily think of gold and silver. The truth is, that we should consider platinum and palladium which are, like silver, industrial commodities and can play a significant and beneficial role in portfolio diversification. In terms of holding palladium in your portfolio, there is now research showing the diversification benefits of investing in palladium and platinum bullion. There is a strong case for having an allocation of some 20% to 30% of an investment or savings portfolio in physical precious metals. 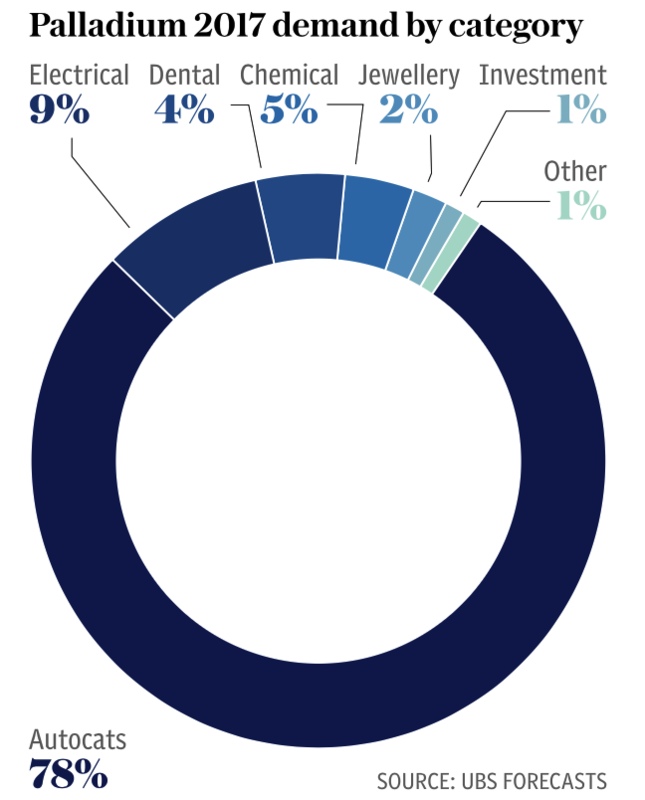 The majority of this should be in gold and silver but as we have seen the academic research shows that having smaller allocations � maybe 5% and 5% � to platinum and palladium � will also have diversification benefits. Investors would be prudent to consider an allocation to all four precious metals, and rebalance when there is outperformance, in order to maximise the safe haven aspect and return of their portfolio. In order to benefit from the safe haven qualities or precious metals, investors should opt for physical bullion in the form of coins and bars and opt for allocated and segregated storage as provided by GoldCore for gold, silver, platinum and palladium bullion.